Hi ya everyone! Today I want to share this adorable card I made using the ever-so-sweet Elisabeth Bell image Li'l Montana. I colored her with my Copics and used an Echo Park paper from the Sweet Day pad. 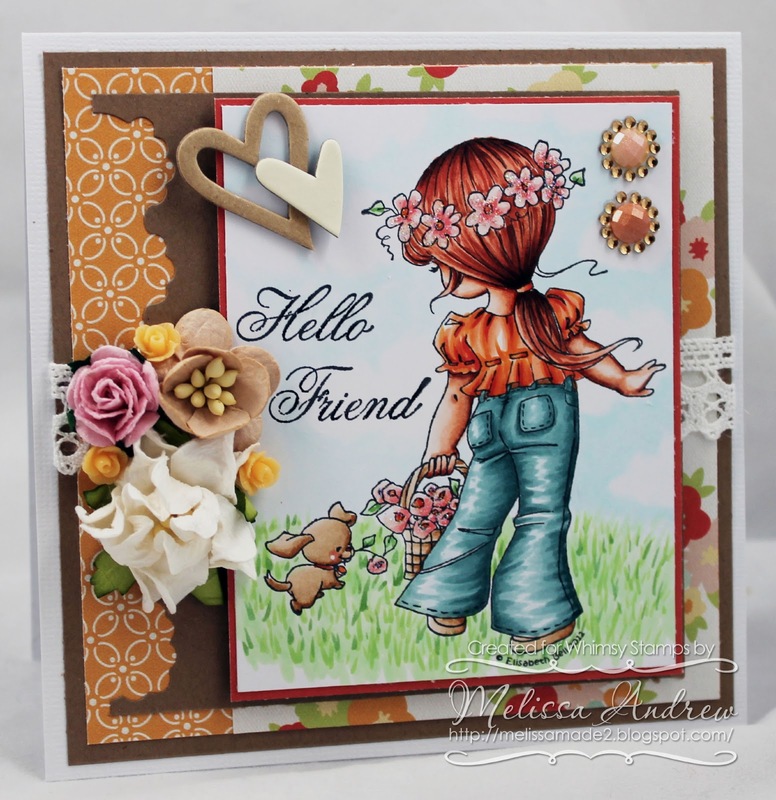 The sentiment is from Raindrop Echo Designs, A Touch of Elegant Furniture. My favorite newly discovered item from Whimsy is the lace you see in the background. I love lace but often hate pulling out my glue gun to adhere it to my creation. Did you know Whimsy carries a number of awesome lace tapes? LOVE them and the one I used on this card is called Lace Tape White No. 8. I hope you enjoyed today's creation and join us for the new release next week! This is super pretty!! And I love that little pup, he is so cute!! I always LOVE how you color images. You are so amazing! Gorgeous card. Oh my goodness, what a sweet card! Gorgeous coloring and such a sweet image. Wow this is so beautiful - love your coloring.